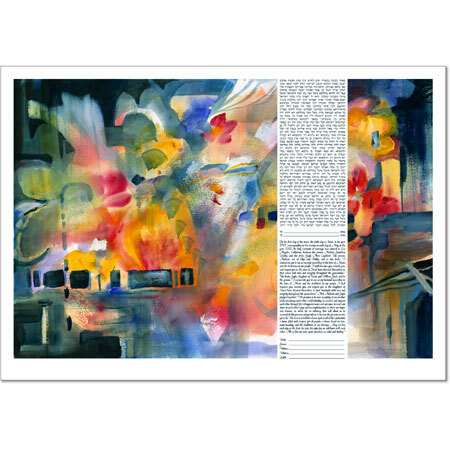 ketubah4less : 18.5" x 12.25"
Standard : 24" x 16"
"Look, seek and find" is what an abstract painting is all about. This can also be applied to a couple who look, seek and find each other. There is always something to discover in each other. Understanding and love triumphs over all. A bright explosion of color and texture, Abstraction is a watercolor work that reflects the vibrant energy of the artist's South Florida locale. 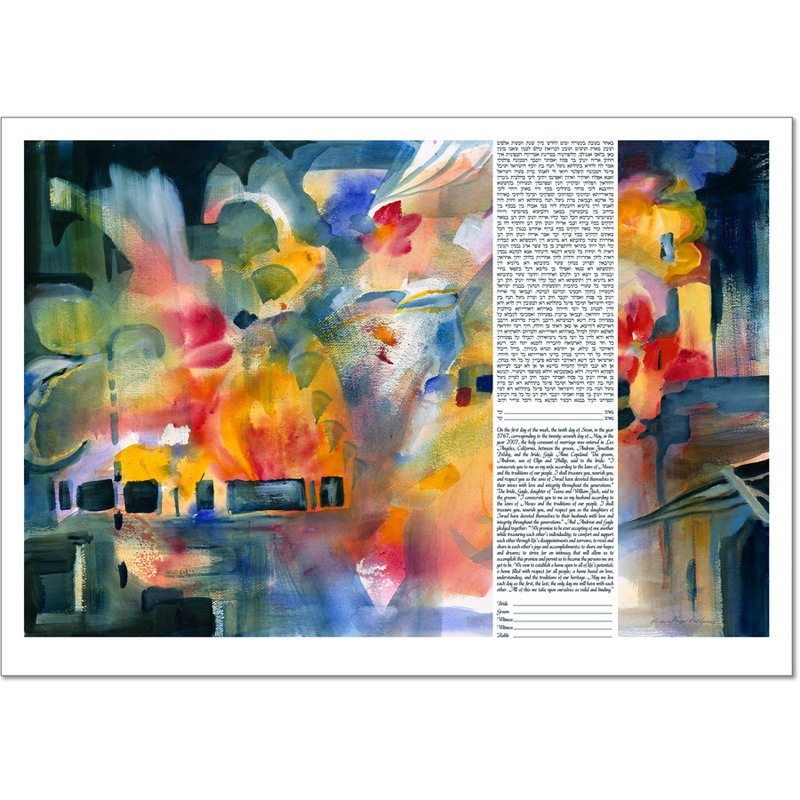 Ruth Karp's body of artwork encompasses a variety of media including watercolor and acrylic paintings, drawings and pastels. A frequent guest in art classes ranging from elementary to graduate schools, her work has won many "Best in Show" awards, is held in private collections and has been featured in fine art publications including Rockport Publishers' Best of Watercolor: Painting Light and Shadow (1997) and A Gallery of Marine Art (1998). She is a "signature member" of the Florida Watercolor Society and National Watercolor Society and, additionally, serves on the boards of the American Artist Professional League (president), Gold Coast Watercolor Society, Miami Watercolor Society (president) and the Royal Poinciana Art Festival (director).